We are always on hand to help. We've put together the answers to questions we get asked the most, which should cover anything and everything you need to know about Magroove. If you need further information, please feel free to get touch with us on artistsupport@magroove.com. Magroove is a platform designed to help people find new songs. We are a music recommendation webapp, our goal is to make it easy for people to find new artists and hits. We believe there is a huge gap between music listeners and independentartists, and we want to fill that. So many reasons! First of all, it is totally and completely free! Second, we can help you get some extra visibility by showing your work to people from all over the world. And we are not talking about random people, with our cutting edge machine learning technology, your songs will be offered to people looking for the specific kind of music you create. + How does Magroove work? Magroove is a music recommendation app based on bleeding edge technology in machine learning and artificial intelligence. Our musical AI recommends tracks based on the listeners’ profile and mood. Each user experiences Magroove in a different way, just like music! + What is Magroove Plus? Magroove+ is our upload pack to Streaming Services and Online Music Stores. If your music is not out there, we can put it out there. If you are already distributing your songs, you are still allowed to upload to Magroove's regular service (music discovery) so that it is incorporated in the recommendation roll. + How can I create an account in Magroove for Artists? You just have to access www.artists.magroove.com and login with your Facebook or Google account. + Will people be able to purchase my songs through Magroove? We do not sell your music, we just recommend it. If people like your songs, we give them a way to purchase it or listen to its full version elsewhere. This is why it is a Must for artists to be available in the big streaming services in the industry (Spotify, iTunes, Deezer and others). If your work is currently not available in those platforms, no worries, we offer Magroove+ for free to upload them for you. + Can people listen to my full song through Magroove? No, but we show them the way where to. This is why it is a Must for artists to be in the big streaming services in the industry (Spotify, iTunes, Deezer and others). If your work is currently not available in those platforms, no worries, we offer Magroove+ for free to upload them for you. “Copyright” is the term used to describe a number of legal rights that exist in original literary, musical, dramatic or artistic works, and in sound recordings, films, broadcasts and other creative works. Under copyright laws, these rights are exclusive to the copyright owner, and enable the copyright owner to control how their work is used and to prevent unauthorised use. Originally, copyright laws allowed the creator of a work to prevent that work from being copied, but copyright laws have gradually been extended over time, and now allow copyright owners to prevent and control things like adaptation or public performance of the copyright work, inclusion of the work in a broadcast, or distribution of the work both physically and on the Internet. Because these rights are exclusive to the copyright owner, anyone wanting to do any of these things needs the permission of the copyright owner. Copyright can exist in all sorts of things - for example, music, lyrics, photographs, artwork, books, speeches, TV programmes and movies. Also, what might appear to be a single work can include several different copyrights owned by various different people. For example, a music track by a signed artist will often include separate copyrights in the composition, the lyrics, and the sound recording. Copyright in the music and lyrics will usually be owned by the artist or music publishing company, and copyright in the sound recording will usually be owned by the artist’s record label. Use of that track, including any adaptation of the track or any uploading or sharing over the Internet, will require the permission of all of these copyright owners, either directly or through their representatives (for example, through a collecting society or performing rights organisation). Please note: This is just some basic information about copyright. However, this does not constitutes legal advice – please do not treat it as legal advice or as a substitute for legal advice. Please consult a suitably qualified lawyer on any matters related to copyright. + What is copyright infringement, and how can I avoid it? Because the rights afforded by copyright law are exclusive to the copyright owner(s), you will infringe copyright if you do any of those things without the permission of the copyright owner(s) - for example, if you copy or adapt a copyright work, or make it available on the Internet. The best way to avoid copyright infringement is to ensure that you don’t use anything created by anyone else. Simple as that. If you do use someone else's work, make sure you have the necessary permissions – this will usually take the form of a licence from the copyright owner(s), which you may have to pay for. There are certain instances where you may be able to use excerpts of copyrighted material without a licence – for example, if you use a small part of someone else's work for the purposes of criticism or review, or if your use constitutes "fair use" under applicable law (particularly U.S. law) – however, discussion of these exceptions is beyond the scope of this guidance. If you intend to use any part of a copyright work in reliance on any of the statutory exceptions, you should seek legal advice first. + Can I get signed by a record label after I have signed up to Magroove? Absolutely! Magrooove doesn’t tie up any of your rights. And so you are totally free to sign with a record label after uploading your songs. + Is my relationship with Magroove exclusive? No! The songs are yours to do whatever you want. We do not prevent you from distributing new content somewhere else if currently distributing with magroove! Also, you are allowed to distribute new content with Magroove+ even if you are already distributing with other aggregator. But please note: You are not allowed to upload the same release in two places! + Can you help me book concerts or compose songs? + I am a signed artist. Can I upload to Magroove. It depends. You are allowed to upload as long as you have the proper rights to do so or is properly authorized to do so. Please see our "What is copyright infringement, and how can I avoid it?" question and the Quick Copyright Checklist. For proper advice, consult your label or a suitably qualified lawyer. + I am already distributing my songs with another Music Distributor. Can I switch to Magroove? Yes! In order to switch to Magroove, you will need to contact your current distributor and request that they take your content down from stores, and then you can re-upload and distribute it again through your Magroove for Artists account. Unfortunately, there is no way to move content on the back-end so it remains live in stores while you switch distributors. + Do my songs generate revenue when played/recommended through Magroove? No. Magroove's plays should not generate revenue, since it only previews your songs. Magroove works as an entrance door for people to find new songs and artists and listen to them in one's favorite streaming service or buy their work in music stores. + How much does Magroove cost? Nothing. Magroove is completely free for artists - there is neither upload nor maintenance cost. + How much does Magroove+ cost? Nothing. Magroove is completely free for artists - there is neither upload nor maintenance cost. In fact, you receive revenue for plays and purchases on extenal services you upload to. We pay artists 100% of all revenue that comes from these platforms. We just keep the first 5 dolars the release generates each year to cover our administrative costs. + What percentage of sales do I receive? If you choose to upload via Magroove+ you'll receive 100% of all net revenues from the sales of your recordings from our retail partners. We just keep the first 5 dolars the release generates each year to cover our administrative costs. Magroove currently one of the world leaders in providing the highest possible revenues to artists without pre charging for upload or maintenance costs. With Magroove artists never pay for their work, they get paid. + How much will Magroove pay me? It depends. If you already have your songs being distributed in the big streaming services in the industry (like Spotify, iTunes, Deezer and so on), you will receive your revenues through your current aggregator. If you don’t, we pay our artists 100% of all revenue generated from our partners (you can check the full list here). We just keep the first 5 dolars each release generates each year to cover our administrative costs. In neither case you will be charged to upload or maintain your songs to our platform. Again, Magroove is totally free for artists. + How can I receive my payment? Magroove currently supports Paypal payment only. To edit this information you need to visit your payment configuration settings, inside your Magroove for Artists page. Payments are made in American Dollars (USD). + What is a Release? A release is the general name fora Single, an EP, and Album or an Extended Album. Singles are 1-track releases. EP's are between 2 - 6 tracks. Albums are 7 - 18. Extended Albums are 18 tracks and over. + How many tracks can I upload? Unlimited. Currently Magroove doesn't have a limit for how many tracks you are able to upload. However, with relation to uploaded tracks, you must have full authority or ownership to designate copyright. + Can I upload Covers to Magroove.? No, Magroove only supports original songs. + To which stores and music services will my music be distributed to with Magroove+? To all which we are currently partnered with. You can see the full list HERE. + How long does it take for my music to be visible on the retail partners sites? Uploading only to Magroove should take a couple of days or so. Uploading to Retail partners with Magroove+ takes a little longer. There is a 2-3 day admin process in which we verify if there's any problem with your content and let Jenny (our Artificial Intelligence) listen and classify it. After that, retail partners normally work on a 1 - 2 week moderation process, therefore making the final distribution length between 3 and 4 weeks (be warned that these time scales are not exact. Also, the fewer problems at upload, the quicker the distribution). Also, stores and streaming services do not provide an automated notifications system for when your music goes live in the stores. Please keep checking stores to see when your music goes live. + Why am I not seeing my releases' stats and reports after uploaded? Retail partners only update their statistics on either a monthly or quarterly basis. Also, there is a minimum ammount of data needed before we can show it to you. Please remain patient and your stats are updated as soon as they become available. + What is an ISRC Code? ISRC stands for 'International Standard Recording Code'. It is an international code which gets embeded as data into your recordings and works as virtual identification (think as an international bar code for the recording). 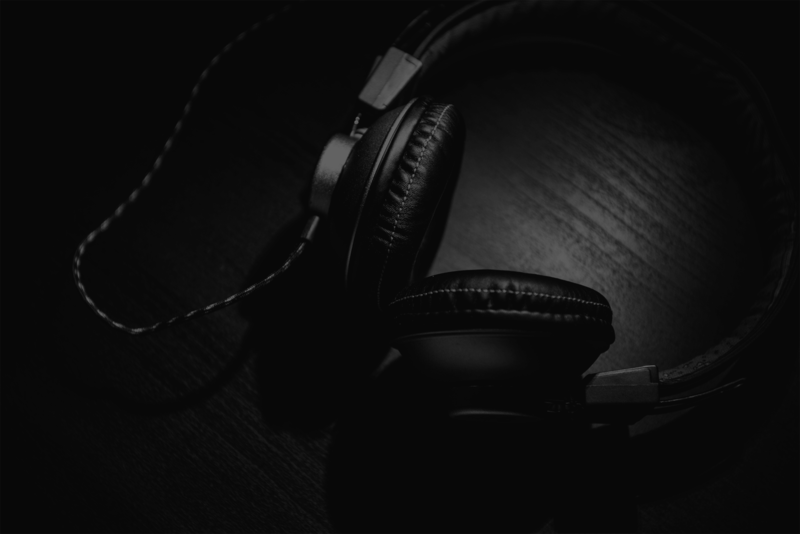 Without an ISRC issued and attributed to your recording, it does not have any trail where to forward the royalties to, thus, it could be played for free without knowing it's to you the royalties should go to. + What is an UPC Code? UPC stands for 'Universal Product Code'. It is an international physical bar code. + Do you generate UPC and ISRC codes for me when I upload? Yes! Please note: a recording must only have one ISRC code issued to it, ever. If you ever generated an ISRC, code for any of your recordings, you must properly attribute those. You can attribute those in the last step of the music upload process. + How can I take down my music from stores & retailers? Each of your releases have a "Delete" button. It's located on your "My Releases" page, inside Magroove for Artists. You just have to click it if you wish to delete that release. You can remove your content from the stores at any time at no charge. + Will Magroove sign with more retail partners in the future? Yes. Magroove is here to help artists spread the word of their music to all four corners of the globe. Our forward-looking partnership team is always on the look out for promising deals that will enhance our artists' potential. + I have a question that is not on the FAQ. How can I ask it to you? Please contact us through artistsupport@magroove.com for support and inquiries.